As soon as I saw Molly, I knew we had to feature her. Not only did she make her entire costume, but she told me it was just something that she threw together last minute! 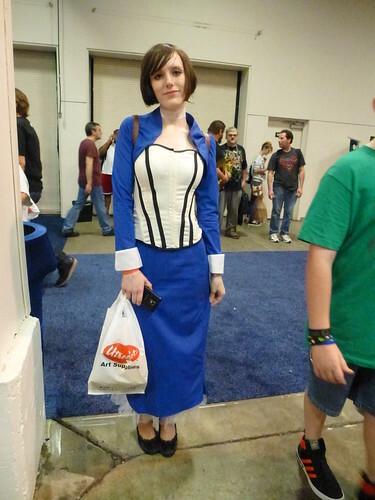 Cosplay Origins: Molly had always loved both sewing and comics, but it wasn't until she attended her first Comicon that she realized that she could combine them both. She still feels like that first year she attended was a missed opportunity, but from the looks of things, I would say that she is more than making up for lost time. Cosplay Pride: Molly is a serious seamstress and creates her own patterns for her pieces. She has really refined her skills over the years, so much that she has even made costumes for others. In fact, she is most proud when she can make what seems impossible possible.